The presented attitude-based conflict analysis models the Russia-Turkey conflict with the third-party intervention of China. 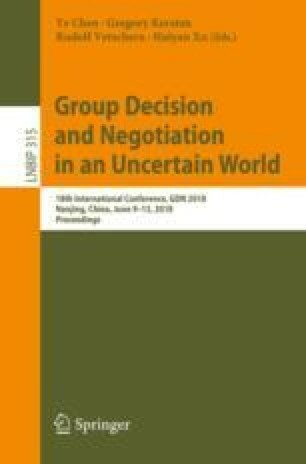 Third-party intervention model considers the attitudes of three decision makers (DMs) to understand the behaviors of the DMs in decision making in the situation of a strategic conflict. Three sets of attitudes of DMs are considered for attitudinal conflict analysis. The study traces out how the inappropriate (negative) attitudes of Russia and Turkey, regardless of third-party’s attitude, would lead to unfavorable consequences. Even though the third-party, China, changes her attitude from neutral to positive, it would not affect the outcome. The attitudinal analysis reveals that the attitude of the focal decision maker, Russia, is important as the change in it influences the outcome of the conflict. The appropriate (positive) attitude of DMs would help resolve the conflict.